Celebrating the wrestlers who went from the chorus line to the final bow. We thought we were going to get Becky Lynch vs. Ronda Rousey at Survivor Series, but after an errant Punch from Nia Jax, WWE made the audible of all audibles due to The Man suffering a broken nose and concussion. 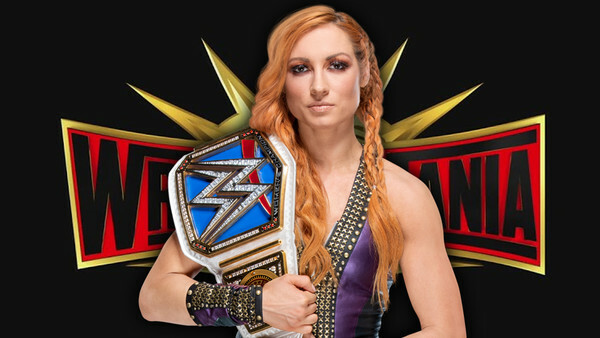 Charlotte Flair took Becky's place this past Sunday, and now, according to Dave Meltzer, the ostensible plan for WrestleMania? Becky Lynch in the main event against Ronda Rousey - and possibly Charlotte as well. This is quite astounding, as Rousey vs. Charlotte 1-on-1 has been pencilled in for months as the probable main event of WrestleMania 35. Naturally, wrestling fandom as a whole is jumping for joy at this news, as 2018 has been an absolute barnburner of a year for the perennial favorite. If WWE don't pull a Dave Meltzer special (i.e. "plans change"), Becky will join a long line of people who were never thought to be big enough stars in wrestling to join the ranks of 'Mania main-eventer. From midcarders to journeymen to non-wrestlers, there have been some surprising names to close out the show of shows.